“Goals are important in life,” we are fed this fact as soon as we enter the planet earth. The prominence of goal was redefined recently with terms such as life-goal, relationship-goal, friendship-goal, and career-goal started popping up on the internet frequently. However, in this sequence, one goal that Indians often found underprepared for is retirement goal. When 77% of Indians do not plan beyond a home, a car, and education and marriage for children, it’s evidently clear that Indians do not have retirement goals in mind. Despite financial experts emphasising on “start planning for retirement as soon as start earning,” 44% Indians invest in physical investment instead of financial investment. Why is Investment for Retirement Necessary? There are so many reasons you should plan start planning for your retirement at the age of 30. It is not possible to predict the cost of living after 20 years. The cost of medical expenses is already increasing. Volatility is highin the real estate and bullion sectors. But not many people think of planning for retirement due to the exteremely long-term nature of the goal, and rising lifestyle expenses. 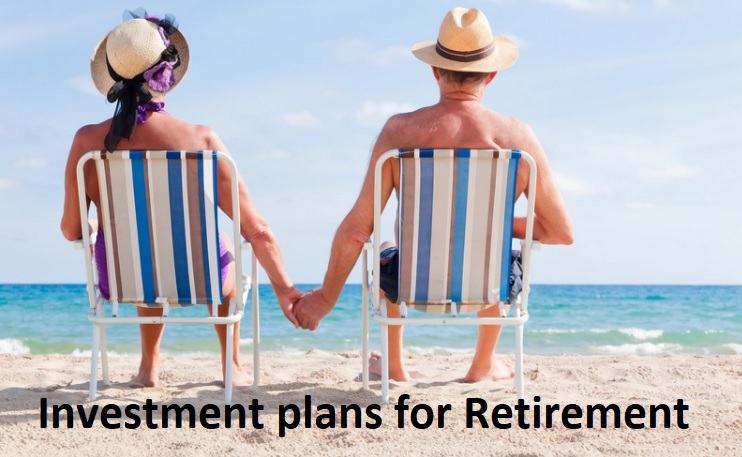 Investment planning for retirement isn’t an easy job, neither banks and financial institutions make it easy by offering too many products that only add to the confusion. Therefore, let us get you some clarity and help you plan your investment to ensure you have a regular income, an insurance cover, and lifelong savings when you retire. Going by the data, NPS has provided investors 10% growth annually in last four years. Introduced in 2009, National Pension System is a voluntary retirement saving scheme for all individuals across the nation. Managed by the Pension Fund Regulatory and Development Authority (PFRDA) of Government of India, NPS is a handy tool to leverage tax benefits as well, as it offers deduction under section 80C of the income tax act. Besides, in the long run, the scheme is more beneficial due to fund managers being able to yield exposure to equity products and related instruments. Take note of the fact that you should be purchasing 40% of the total amount at the time of the retirement. PPF has been the backbone of the salaried investors in India since long. It has been one of the most attractive options due to its tax benefits and interest, which is better than the Fix Deposits of various banks. You safe-lock your money for 15 years in the PPF. You can extend the term by each 5-year plan. EPF investment, as well as maturity, are exempted from the tax under section 80C and 10D of the income tax act. However, the recent cut in interest rate and the announcement of rate review every quarter disappointed many investors. Robust returns and resounding security are the main reasons why people opt for ULIPs. Almost all life insurance companies in India have ULIPs for investors and customers. Unit Linked Insurance Plan is devised for those belief in taking the calculated risk since ULIP offers you to invest your money either in equity or debt funds. Given the fact that in long run equity is sure to outperform other investment classes, there is a great chance to build a perfect corpus for retirement. Besides, many insurance firms have recently reduced commissions and charges to make ULIP more attractive investment option compared to mutual funds. Life insurance cover ensures that your partner does not suffer due to insufficient funds post retirement.Equity exposure can ensure that your corpus gets more growth for the invested time. One of the most secure and high-rewarding investment opportunity is to invest in government bonds. Usually, Reserve Bank of India issues bonds on behalf of the government of India, which has a duration of 10 to 15 years. Normally, government bonds are borrowing by the government for which government pays interest at the time of 10 to 12% annually. The fundamental idea is to find a long-term plan for the investment that is less volatile and offersgood growth untilretirement. Mutual funds and equity are also rewarding plans,but volatility in the market makes you think about not putting all the eggs in one basket.